In the great 2004 teen comedy Mean Girls, an impressionable young girl encounters a set of friends who seem to be everything she and her own closest friends aren’t — but they’re clearly dysfunctional, with no empathy and a megadose of wants based on their own self-interest. As a psychiatrist who works with patients of all ages, including adolescents, I find this movie fascinating — in part because I see this happening so often with adults. Regularly, I see patients who, even as thriving adults, are trapped in toxic friendships. These connections may look good on the outside, but they’re anything but. Negative friendships take a lot of energy but give very little back, often triggering bouts of anxiety and depression that can have serious health consequences. For our well-being, it’s important to do a serious audit on our friendships. Which ones are supportive and which ones are stressful? 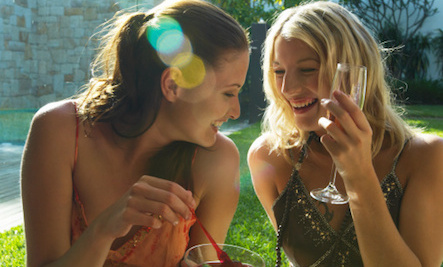 It’s also good to analyze yourself — what type of friend are you being? 1. Is the friendship one of status or support? Does a friend only call when they need an introduction to someone else? Friends are not rungs on a ladder. As a professional actor (before medical school), I yearned to connect with people I thought would enhance my career or improve my network. But true friendship brings far more, including support and fulfillment. If your friendship is based on just being useful, at some point you’ll be replaced. If a friend only calls when they need an introduction to someone else, that’s a warning sign. 2. Is the friendship filled with negativity? If after spending time with friends you wind up feeling bad about yourself, take note. Friendships have a huge influence on your state of mind, positive or negative. I once had a patient who said she was becoming overwhelmed with negative thoughts about herself, and didn’t understand why. It turned out she spent most of her social time with a group of friends for whom complaining and gossiping was a sport — like their own version of Mean Girls. Without even realizing it, my patient was internalizing their negative, judgmental commentaries. 3. Is the friendship fair-weather? Does a friend keep cancelling plans with you? You may want to find out what that cancelling buddy did instead. True friends don’t cancel on last minute for the next big thing: they have more integrity and respect for you than that. If it only happens once or twice, you can chalk it up to our busy, busy lives — we all wind up double-booked at some point. But if it happens all the time, that can have a bad effect on your self-esteem. 4. Is the friendship listening to you? Many of my patients are impressed with how I remember small details they mentioned in a past session. It’s my job as a therapist to be an attentive, active listener. But friends should be able to do that too. Good friends remain curious about your life: they remember things you said in passing and maintain an interest in what’s going on. If you told them you applied for a job, they want to know how it went. If you have a medical issue, they want to know what the doctor said. Good friends are mindful of the details of your life, and they combine caring with active curiosity. 5. Does the friendship nurture and support your decisions? When you announce your decision to take a class, start up a hobby, look for a new job, and make a change, does a friend applaud that? Or do you find yourself listening to a litany of reasons why you should reconsider? Good friends aren’t challenged by each other’s growth or aspirations, and may even join you on new ventures. If a friend chastises you, or treats your plans with skepticism, that’s an unhealthy friendship. 6. Does the friendship hold a grudge? It’s inevitable that conflicts will arise between friends. But what happens next is key. Does a friend admit his or her part in a conflict? Can you discuss it, admit your mistakes to each other, and then move on? Healthy friendships will stand the test of time. They have room for apologies, and can acknowledge mistakes. The air cleared, the friendship can continue — hopefully for a lifetime. Humans are social animals, and friendships are enormously important. Psychiatrist or not I have a tender spot for those who struggle socially, because when I was young, I did as well. If you suspect a friendship is harming you, take a good look. Don’t ignore the warning signs. Great friendships lift us up. Those are the keepers. Dr. Johnny Lops is a Board-certified practicing psychiatrist for adults, adolescents, and children, and the former team psychiatrist for the Brooklyn Nets. He is currently a clinical instructor of psychiatry for the Maimonides Medical Center Psychiatry Residency Program and an assistant professor of psychiatry at the New York College of Osteopathic Medicine. An accomplished actor and film producer, Lops has starred in numerous stage productions (including The Elephant Man in New York’s Joyce Theater), as well as major television advertising campaigns for Sprite, Bud Light, and the New York Knicks. His new book is Reinvent Yourself: Essential Tools from a Brooklyn Psychiatrist Who has Seen it All (Tailwinds Press, May, 2015).